The Philippines has moved up 30 places to No. 108 from No. 138 out of 189 economies in the latest Ease of Doing Business 2014 Report released earlier today by the World Bank and International Finance Corporation. It was the largest jump recorded in the world this year. The overall improvement is a significant turnaround from a stalemate in the last three years and was the result of teamwork and concentrated efforts by work teams organized under Administrative Order 38 signed by President Aquino which created the Ease of Doing Business Task Force, according to NCC CO-chairman Guillermo M. Luz. 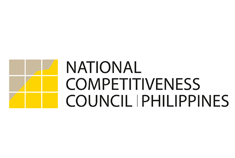 The task force implemented the NCC’s Gameplan for Competitiveness which was submitted to and approved by the Economic Development Cluster in September 2012. The Doing Business Report measures the ease with which a business undertakes ten processes in its typical lifecycle: starting a business, dealing with construction permits, getting electricity, registering property, getting credit, protecting investors, paying taxes, trading across borders, enforcing contracts and resolving insolvency. The Philippines advanced in seven out of ten indicators, compared to only three last year. Gains were seen in Resolving Insolvency (up 65, from No. 165 to No. 100), Getting Credit (up 43, from No. 129 to No. 86), Getting Electricity (up 24, from No. 57 to No. 33), Paying Taxes (up 12, from No. 143 to No. 131), Trading Across Borders (up 11, from No. 53 to No. 42), Dealing with Construction Permits (up 1, from No. 100 to No. 99), and Registering Property (up 1, from No. 122 to No. 121). These changes have been attributed to the elimination of certain documentary requirements, guarantee of access to credit information, electronic systems for filing contributions, and impact of laws such as the Data Privacy Act and the Financial Rehabilitation and Insolvency Act. These and other reforms led to a substantial reduction in the procedures, costs, and time associated with doing business. Slight declines were registered in Starting a Business (down 9, from No. 161 to No. 170) and Enforcing Contracts (down 3, from No. 111 to No. 114). There was no change in rank for Protecting Investors (No. 128). In a press conference held last month, Trade and Industry Secretary and NCC Chairman Gregory L. Domingo expressed his confidence that the momentum in competitiveness will be sustained. The new ranking now puts the Philippines at the middle-third of world rankings. The goal is to be in the top-third of global rankings by 2016. The NCC developed the Gameplan in July 2012 and benchmarked the Philippines’ performance against the best in ASEAN across all ten indicators. After approval by the Economic Cluster in September 2012, NCC began a series of videoconference calls with IFC Washington and workshops with government agencies and the private sector which culminated in the Ease of Doing Business Summit in May 2013 and the signing of Administrative Order 38 by President Aquino in the same month. The positive result highlights the effectiveness of the inter-agency Task Force on Ease of Doing Business in the implementation of reforms across a range of agencies. The NCC congratulates and thanks the public and private sector representatives of the Task Force on Ease of Doing Business for successfully initiating and implementing reforms. NCC Private Sector Co-Chairman Guillermo M. Luz emphasized that continued public-private collaboration will be critical to making the Philippines an even more competitive and attractive destination for job-generating investors. The NCC is preparing Gameplan, Version 2.0 for implementation in the coming year. Bureau of Fire Protection CIBI Information, Inc.